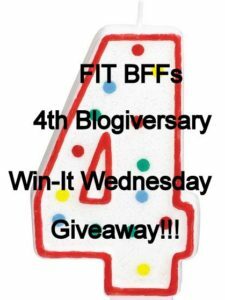 Win-It Wednesday 4th Blogiversary Giveaway! Friends, it’s time to celebrate; it’s FIT BFFs’ 4th BLOGIVERSARY! Every year to celebrate, I have done a few weeks of giveaways, so why would this year be any different? 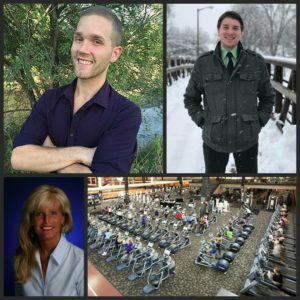 Remember how I told you yesterday about my phenomenal experience at Blogfest and IDEA World Fitness Convention and Expo? Well I just happen to have a little giftie collection from some very kind Blogfest sponsors and expo vendors to share with one lucky reader! I know it might be hard to see from this picture, but the winner will receive…a BE BETTER drawstring backpack, cap and three delicious Protein Squares, Frog Fitness cooling towel, waterbottle & sunglasses, Swisse waterbottle, Undeniably Dairy Blender Bottle, a bag of Vegi Rice Sweet Potato Rice, JIMMYBAR! birthday cake (how fitting!) high protein bar, R.e.d.d. 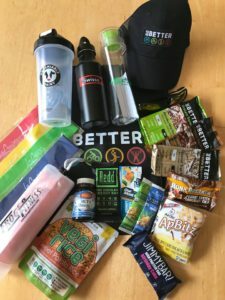 mint chocolate energy bar, Navitas Organics Detox and Focus daily superfood boosts, bpi Sports performance dietary supplement packet, 30 count MCT 7 Omega-3 soft gels dietary supplement, Bonk Breaker peanut butter chocolate chip fuel bar, Arctic ApBitz and a La Croix set of 4 resistance bands! What it boils down to…a fitness/wellness/healthy lifestyle expo in a bag! To enter, simply leave a comment below between now and Tuesday, August 7th (midnight central time), telling one thing you’ve enjoyed reading about on the blog. Giveaway open to US residents only. Randomly selected winner will be announced here on Win-It Wednesday, August 8th. Good luck! Win-It Wednesday A MONTH of Free Yogurt! You read it right, folks, today’s Win-It Wednesday is your opportunity to enter to win a month’s supply of yogurt! 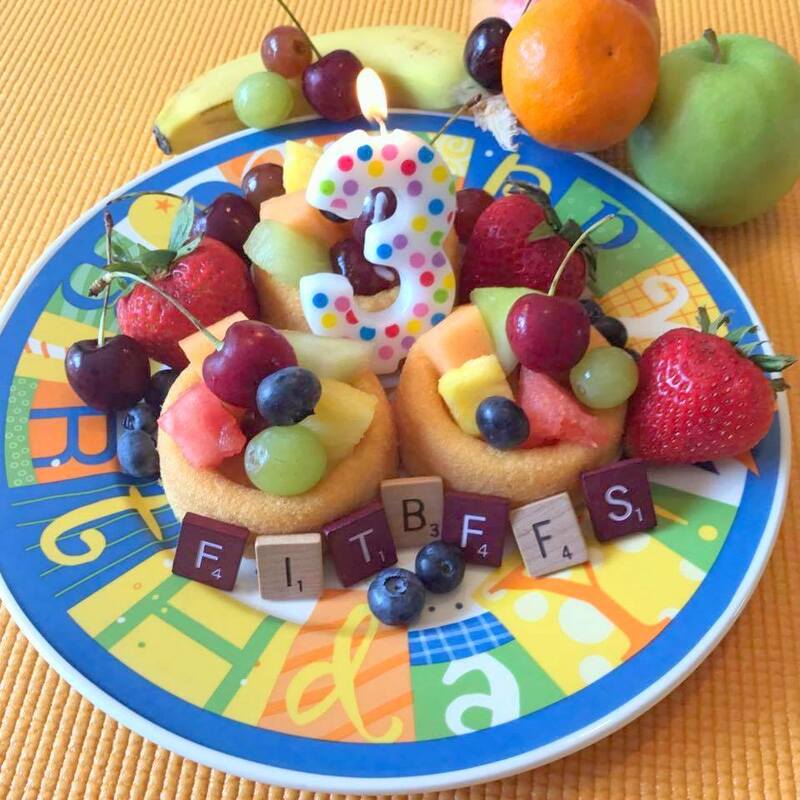 This giveaway is in continued celebration of FIT BFFs 3rd Blogiversary. I just returned from Vegas where I attended IDEA World Fitness Blogfest in conjuction with the IDEA World Convention exploring the latest and greatest in fitness and wellness products, services and ideas. I had an extraordinary time and can’t wait to share more in the days to come. One thing I was excited to sample was some pretty extraordinary yogurt by siggi’s. Not only did siggi’s furnish their delicious yogurts to keep us bloggers nourished every day of our conference, they also very generously provided me with this opportunity for a lucky reader to win a 1-month supply of siggi’s in the form of 30 coupons…each coupon has a value of up to $2.29 which makes this entire giveaway worth $68.70! If you’ve never heard of siggi’s, you will want to stop by their website to check out the wide array of delicious products they offer. Better yet, find them in a store near you and try them for yourself! 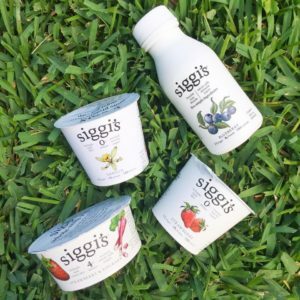 Want to win a month’s supply of siggi’s? All you need to do to enter is leave a comment below with your favorite yogurt flavor between now and Tuesday, August 1st by 11:59 pm central time. Giveaway open to US residents only. One randomly selected winner will be announced on Win-It Wednesday, August 2nd. Friends, I had such a great time hearing from many of you regarding the wonderful local prizes offered in this past week’s giveaway. They seemed to create quite a buzz! One-Hour Health Coaching Session: Ashley R.
45 Minute Reiki Session/Intuitive Reading: Dawn O. 60 Minute Massage: Marisa H.
RAC One-Day Guest Pass: Brenda S.
RAC One-Day Guest Pass: Branda A.
RAC One-Day Guest Pass: Colleen S.
Congratulations, Winners! I will email each of you for contact information. Many thanks to all who entered. If you didn’t win, make sure you stop back later today when I announce our next Win-It Wednesday giveaway in continued celebration of FIT BFFs 3rd Blogiversary!